J.I.N.G.O. is my next project for Hex Games. I'm putting the finishing touches on layout as we speak. 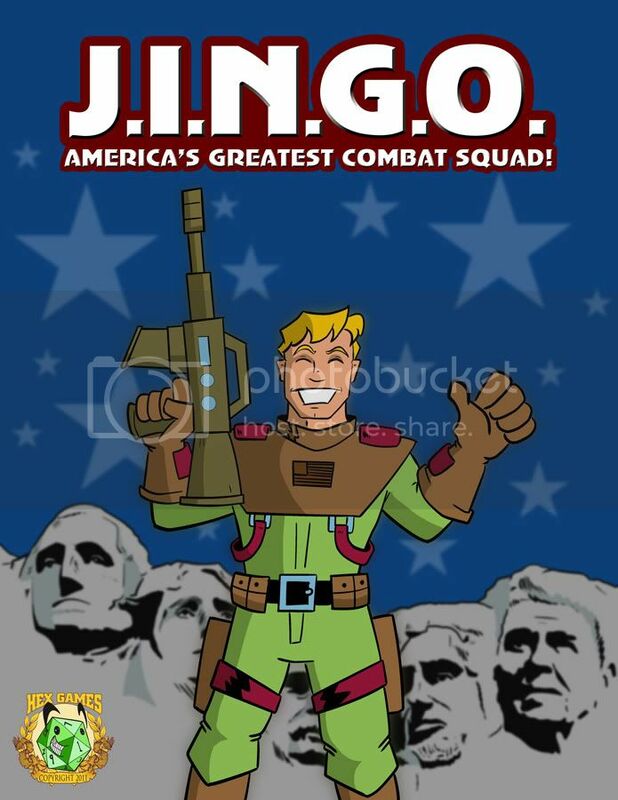 It's a small book on how to use QAGS to recreate the joys of 1980s military adventure cartoons. I'm quite happy with it. Leighton "Leopard Women" Connor did a bunch of awesome illustrations for the inside, while I got suckered into doing the cover. Check it out! Look for the PDF release soon!